Always wanted to know more about scents and fragrances? Well, keep reading because today, Neil Chapman is releasing “Perfume- In search of your signature scent”(Hardie Grant £16). The book is available in stores, but will also be on Amazon for every country soon. But before explaining everything about the book, let’s introduce the brilliant writer behind it. Neil Chapman is an English former student in Aromatherapy, perfumes lover and collector living in Japan. Chapman started to write about the perfumes from his personal collection years ago to introduce his friends to his passion. In 2012, he started his blog The Black Narcissus where he writes about, of course, fragrances and scents, but also about some of his life experiences. Quickly after the creation of the blog, he published his first perfume piece called “Perfume Haters” and won the Jasmine Literary Award (prize for perfume writing) in 2013. Writing a book was obviously the next step for him. With “Perfume”, Chapman’s goal was to “ induce passion for the subject – obviously there are just too many perfumes in the world to be definitive : the book is called ‘In Search Of….’ for good reason; I wanted it to be immersive and indulgent and also a little strange…”. For an immersion into perfumes world, it is a good one, the book contains over 700 fragrances reviews (from store classics you could find anywhere to really rare and vintage ones.). To simplify it, it is written as a guide of all types of fragrances listed “note by note” and in divided categories. 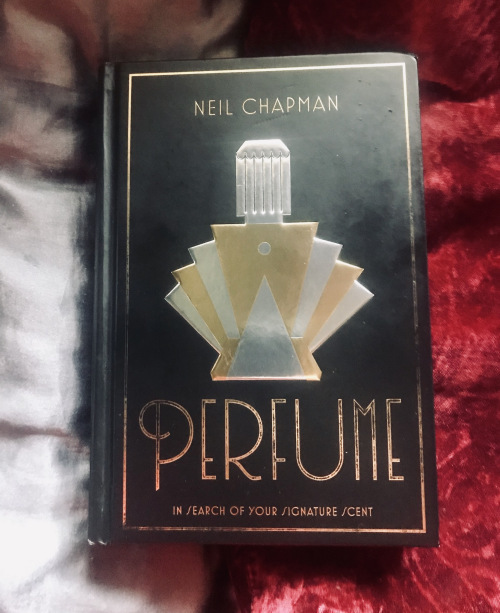 Don’t worry if you are a perfumes beginner, Neil Chapman made it is to read and understand and there are also a lot of lovely illustrations for each fragrance to make the reading even funnier and interesting, in addition to some personal anecdotes and also facts about celebrities and fragrances. If you open this book, you will definitely learn things, you can’t even wonder about that. If only we had this kind of books at school, our students’ lives wouldn’t have been a lot more entertaining. From the experts to the curious, everyone will find something with “Perfume”. Indeed, more than introducing people to scents knowledge, the book was also written to help people finding their “signature scent”. We all have one, but we have to say that a lot of us just always buy the same perfume they liked smelling once and that is all. Finding our “signature scent” would be so much better! Chapman dedicated himself to help people finding it for years. He even confessed to often giving fragrances as gifts to his friends, and challenging himself to find them “the perfect perfume”. You will tell me that reading a book is really different from talking to an expert face to face, but there are pieces of advice about scents given all along the book, and every note, from popular one to broader identifiable one, is explained. No way you will lose yourself in your journey to find your signature fragrance. 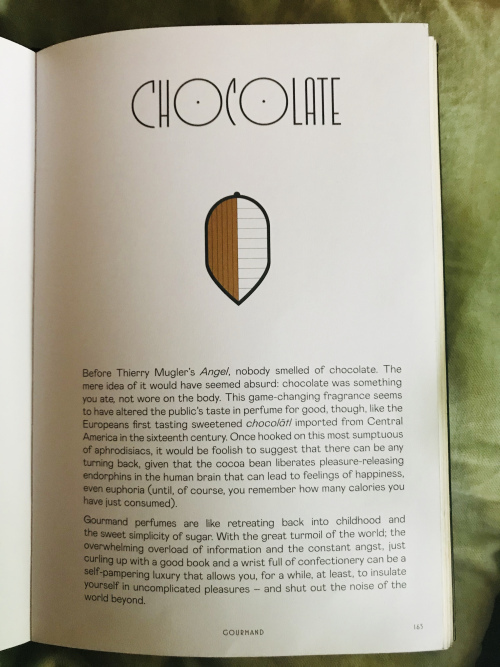 If you already knew Neil Chapman before with his blog, or even if you just have questions to ask him, he will do a reading and book signing at independent perfumery Roullier White (South London) on Thursday, March 28th. Tickets are limited and as a guest, you will be offered a drink, food and a copy of the book. So don’t hesitate a single second and get your ticket!